09.01 Rock-n-Roll show в Rhythm`n`blues cafe! 09 января, и каждую среду, Rock-n-Roll show в Ритм Блюз Кафе! В репертуаре Rock’n’Roll, Boogie-Woogie, Rockabilly стандарты. Поделиться "09.01 Rock-n-Roll show в Rhythm`n`blues cafe!" 19.09 Rock-n-Roll show в Rhythm`n`blues cafe! 29.11 Rock-n-Roll show в Rhythm`n`blues cafe! 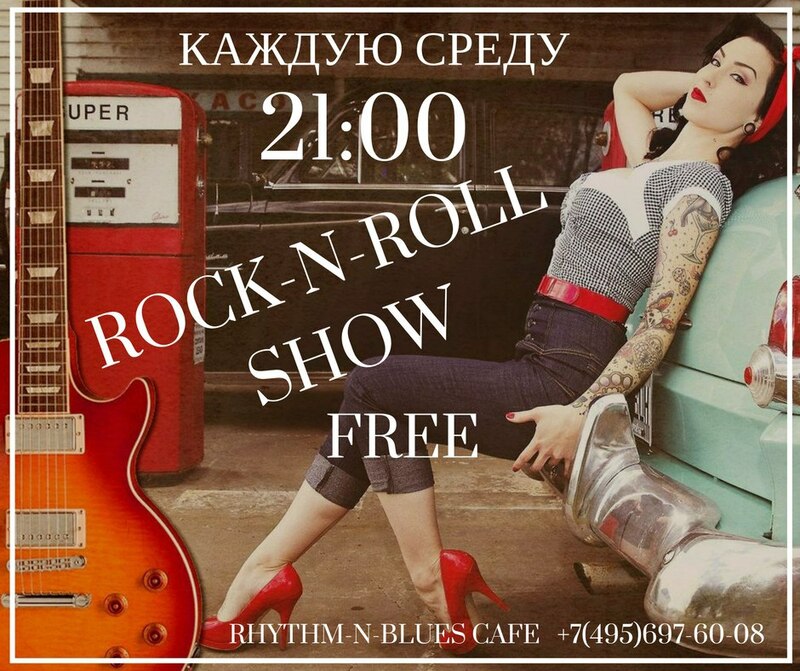 24.01 Rock-n-Roll show в Rhythm`n`blues cafe! 26.09 Rock-n-Roll show в Rhythm`n`blues cafe! 03.10 Rock-n-Roll show в Rhythm`n`blues cafe! 09.01 The Jazz Loft New Orleans Show в Rhythm`n`blues cafe! 24.02 Vinyl Crum vol.4 в клубе Сердце!